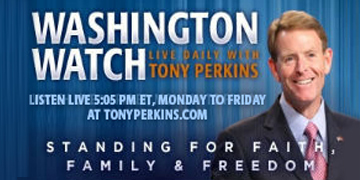 On Wednesday’s edition of “Washington Watch with Tony Perkins” Chairman of the Senate Committee on Environment & Public Works, Senator Jim Inhofe (R-Okla.) joins Tony to discuss the twisted priorities of the Obama Administration, including his statement last night that climate change is the greatest threat to future generations. The White House has proposed a new childcare-tax credit, but does it penalize stay at home mothers? CNS News Editor-in-Chief, Terry Jeffrey is here to break that down. Also, some good news coming out of Plano, Texas. It appears residents have secured the necessary signatures to force the city council to repeal or place on the ballot the anti-religious freedom LGBT Ordinance. Texas Values President, Jonathan Saenz joins Tony with the latest.